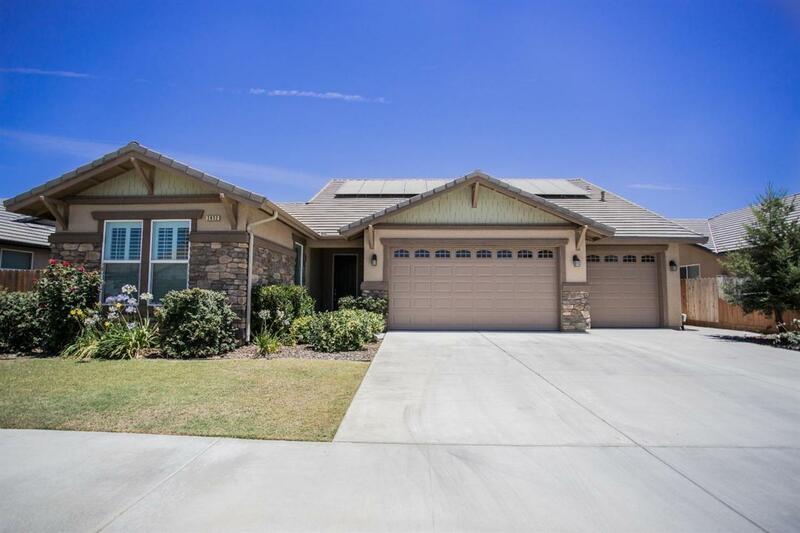 Beautiful/spotless 5 bedrooms and 3.5 bath McMillin home in the desirable NW Visalia. Features shutters throughout, CAT-6 internet hook-up, ceiling fans, granite kitchen counter tops & enormous island, upgraded cabinets, alarm system & stainless appliances. Custom 18x18 floor tile throughout except in bedrooms. Stamped concrete around house, several fruit trees (peaches, cherries & pears). A great advantage is that Solar Panels are paid for.